Quartz has an exciting development in the water bottle market. A self cleaning water bottle that will keep your water cold, but also ensures that you are drinking pure and clean tasting water every time. We caught up with Justin Wang one of the co-founders of this new product at CES this year, who explained the technology and process which makes this product such a great option. This product is all made possible by their new UV light technology inside the bottle which cleans and sanitizes your water bottle, but also purifies the drinking water within. This is an exciting feature to anyone trying to reduce their impact on the environment, but also provides an effective solution to keeping your water chalice clean and fresh smelling. The new more condensed version of this UV light technology cleans the water bottle every 4 hours, or with the quick push of a button. The LED light is rechargeable and will last 2 to 3 months on a single charge, making the process very easy and efficient. 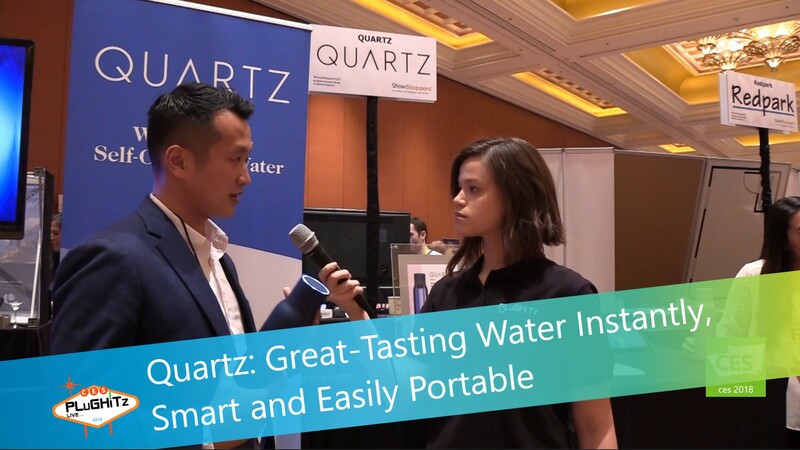 Now, with Quartz's new product, it will make drinking clean great tasting water a lot less expensive, and the cleaning process a whole lot easier without having to use the dishwasher or sink again. Take it to the gym, camping or on the road. With the easy-to-use USB adapter for charging, it truly can go anywhere you need it to go with you. This product will be available on Amazon in April for $99.00, the last money you should ever have to spend on a water bottle forever.